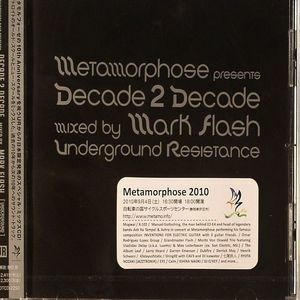 Mark FLASH/VARIOUS Metamorphose presents Decade To Decade mixed by Mark Flash Underground Resistance vinyl at Juno Records. 1. 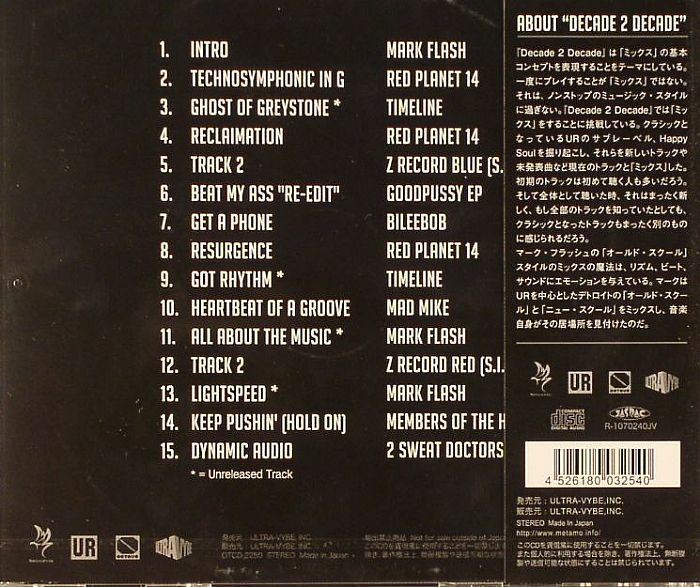 Mark Flash - "Intro"
2. Red Planet 14 - "Technosymphonic In G"
3. Timeline - "Ghost Of Greystone"
4. Red Planet 14 - "Reclaimation"
5. Z Recod Blue (SID) - "Track 2"
7. Bileebob - "Get A Phone"
8. Red Planet 14 - "Resurgence"
9. Timeline - "Got Rhythm"
10. Mad Mike - "Heartbeat Of A Groove"
11. Mark Flash - "All About The Music"
12. Z Record Red (SID) - "Track 2"
13. 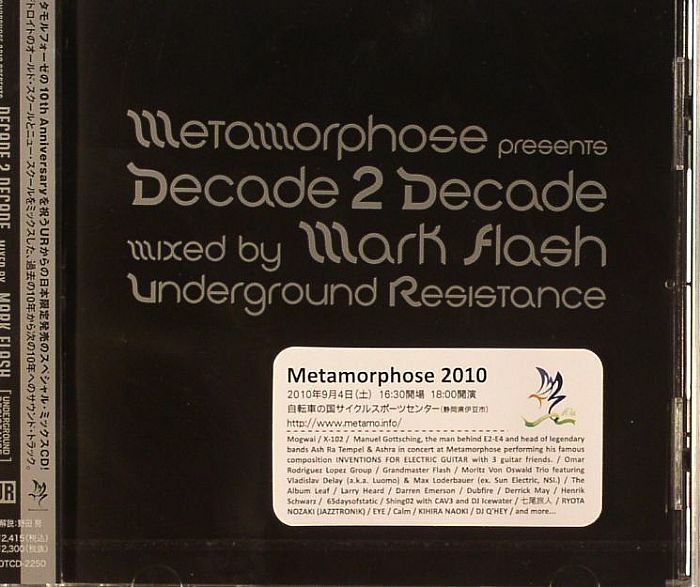 Mark Flash - "Lightspeed"
14. Members Of The House - "Keep Pushin (Hold On)"
15. 2 Sweat Doctors - "Dynamic Audio"